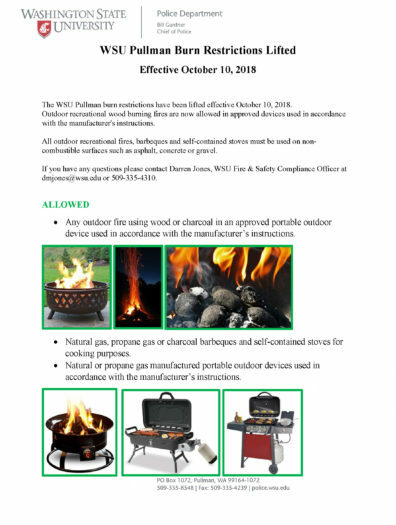 Outdoor recreational wood burning fires are now allowed in approved devices used in accordance with the manufacturer’s instructions. All outdoor recreational fires, barbeques and self-contained stoves must be used on non-combustible surfaces such as asphalt, concrete or gravel. For WSU Football Game Day parking burn ban conditions and restrictions, please visit the WSU Transportation page here.